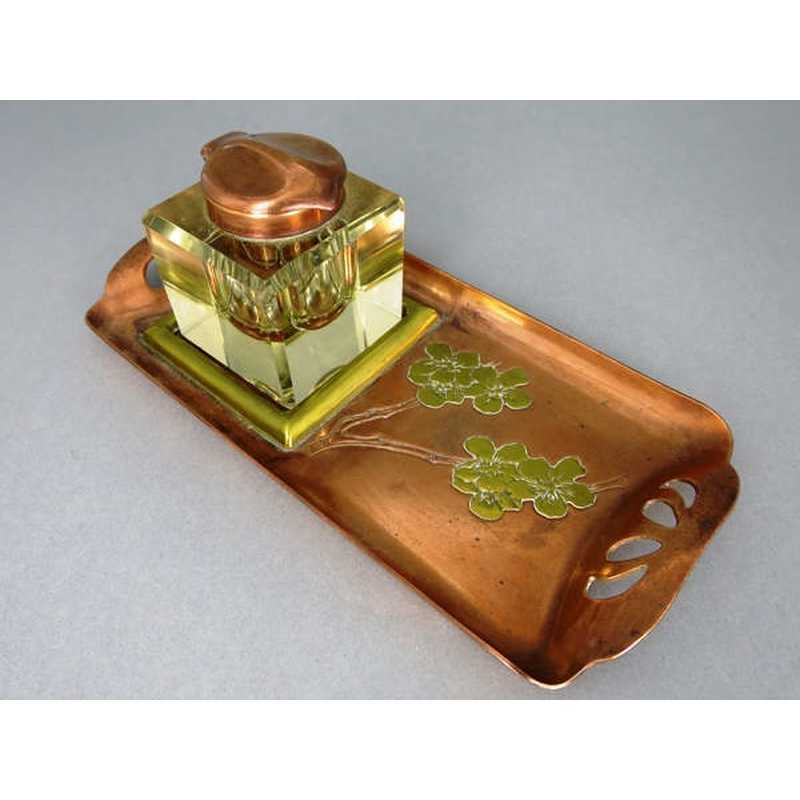 Beautiful and outstanding writing set with inkwell. 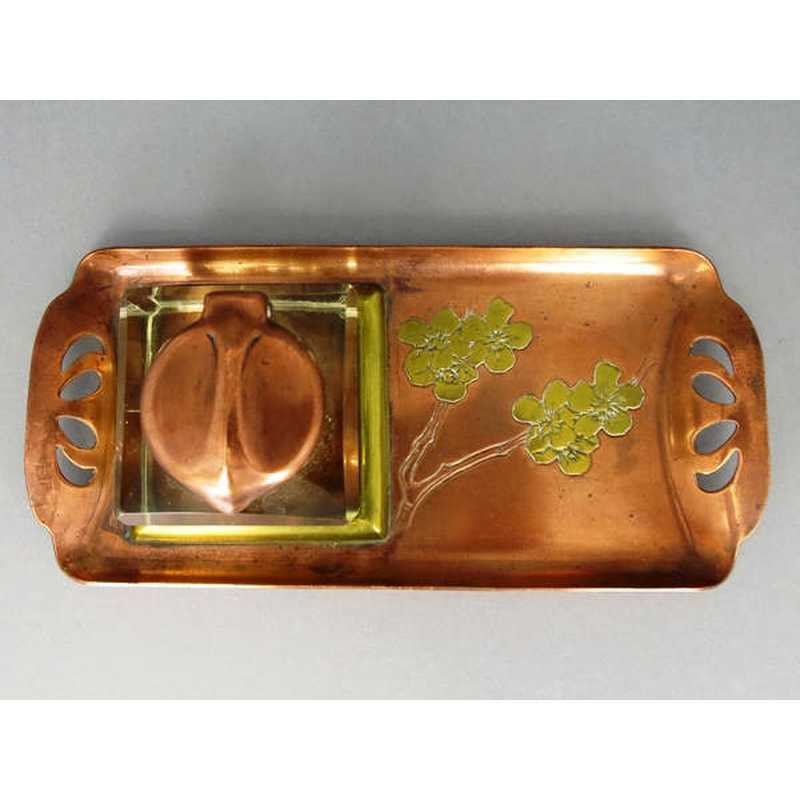 Flat tray with open worked organic handles and cherry blossoms (sakura). 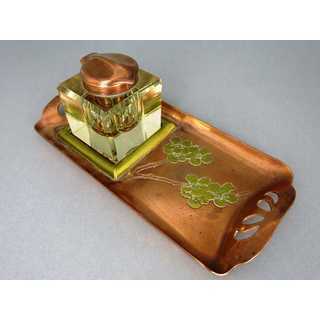 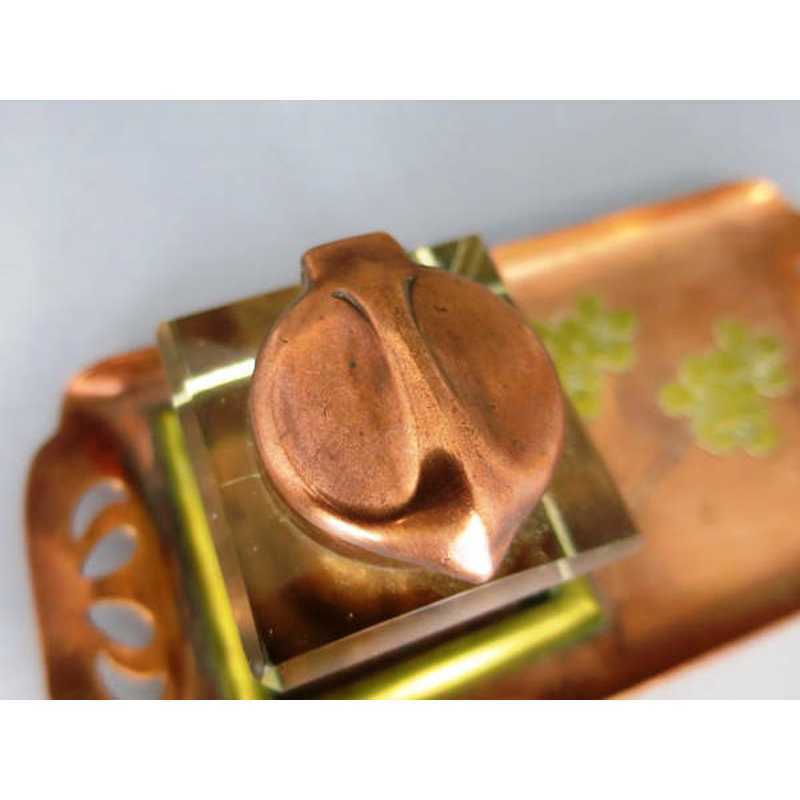 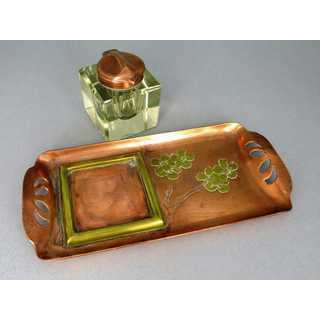 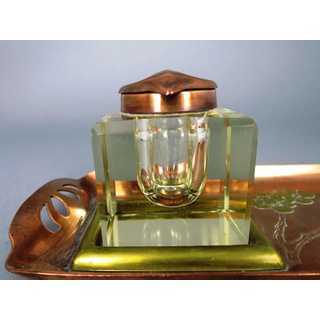 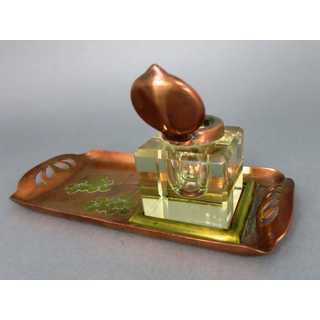 Square holder for the cube-shaped inkwell in glass, with copper leaf-shaped hinged lid. 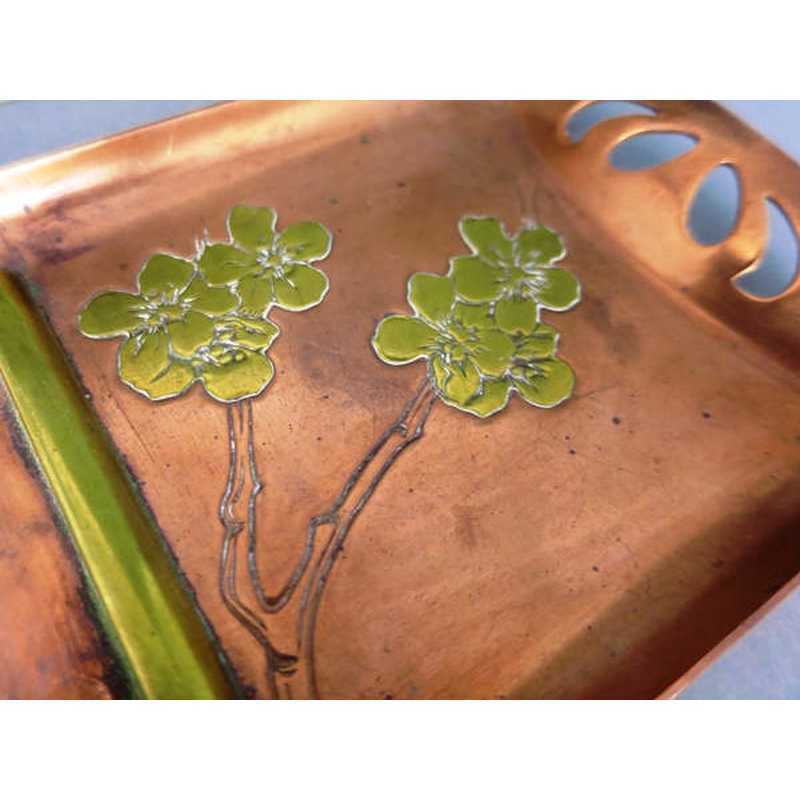 Sakura-pattern inlay in brass with engraving. Beautiful work from the Art Nouveau epoch, made in the spirit of Japonism! 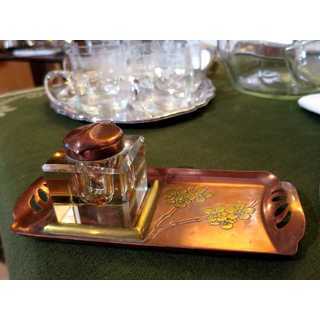 Made in Germany or Austria. 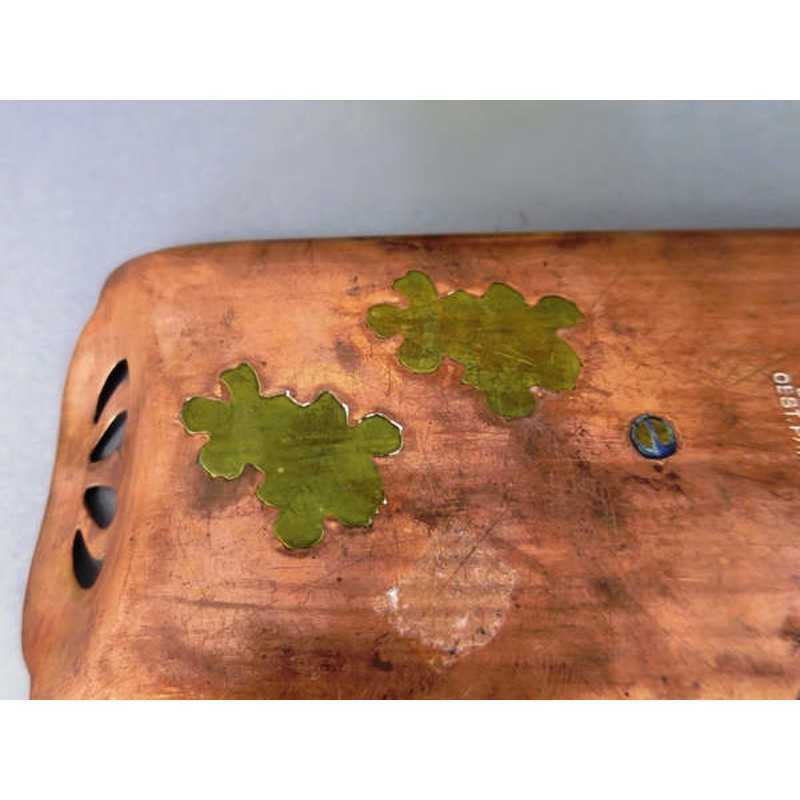 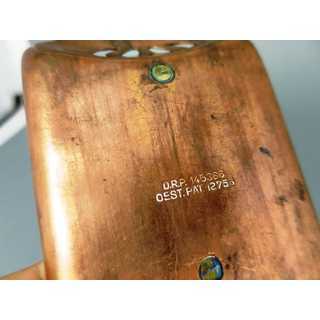 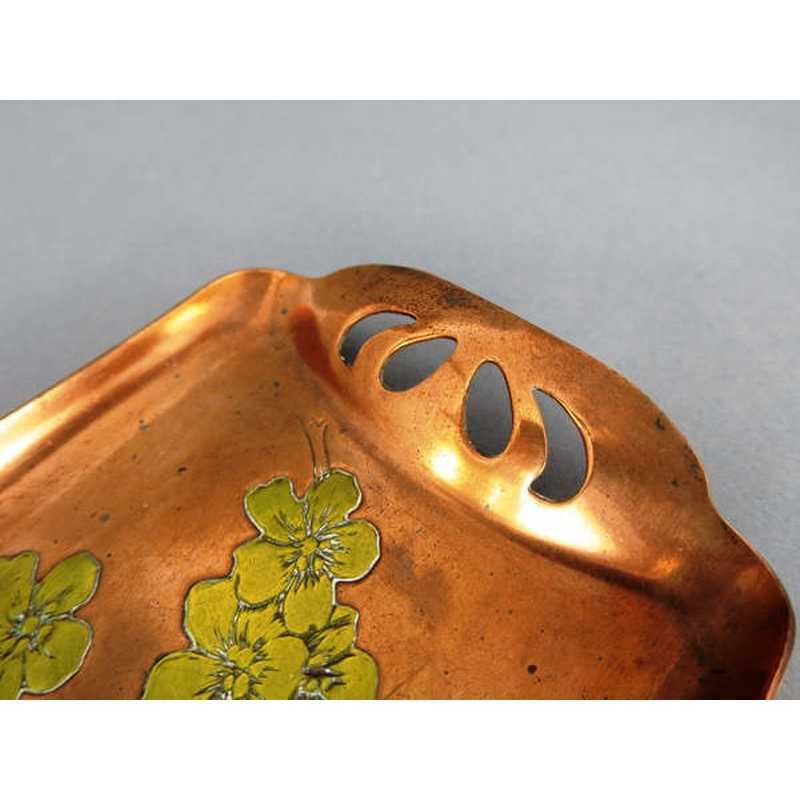 Condition: slightly copper rust on the inside of the lid and small chip on the base of the inkwell.